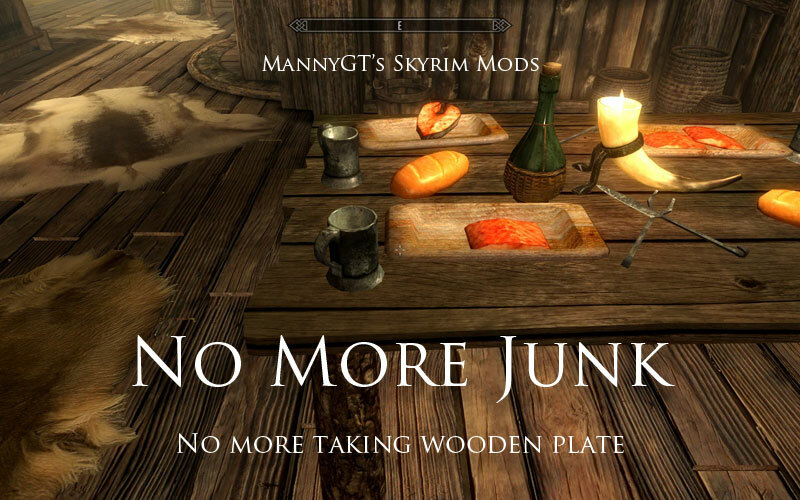 This mod negates to you to take junk from dungeons and everywhere in Skyrim. Don't use this mod if you're using the Atronach Forge or if you have installed some mods for "advanced crafting" with clutter items. Use NMM or just place the mod into data folder then enable in Skyrim launcher. Delete the ESP file from data folder. It's safe to uninstall whenever you want even if you're in front in clutter items. If you find bugs, please report them.